As a wife of one and a mom of four, it seems like I am always learning and discovering! I know I am not alone. Let’s just admit it: The world is a big place, life is a lesson, and children can be the best teachers. 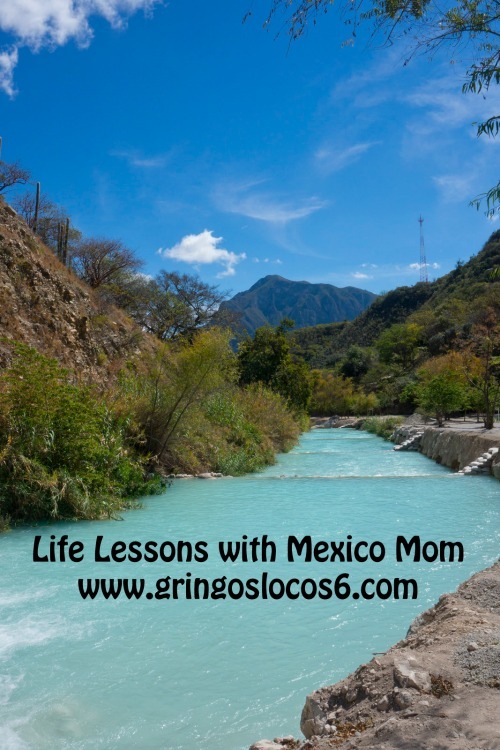 Normally my series, Life Lessons with Mexico Mom, is hosted on Los Gringos Locos, but today I am posting here on World Moms Blog. Life Lesson 57: Don’t trust a nine year old near rapids. The river is shallow and divided into pools by large stones that create small rapids. I told Taylor and Alexis to stay in a specific pool and not to go over the rapids into another pool. I was afraid they would fall on the slippy rocks. Sure enough, Taylor decides to stand up on a large stone and make funny faces while wiggling her bum at her sister. She slipped and went through the rapids. Next thing I know, her goggles are floating down the river and she is crying at the top of her lungs. After getting Taylor out of the water, I saw she had scraped her back along the rocks. She had small cuts and bruises down the length of her spine. My poor kid was a little traumatized, but after learning the hard way, she stayed away from the rapids. Life Lesson 58: Don’t try taking the stroller on a hiking trail. Yes, we are that nutty. I guess we thought that the trail was a very short distance, with flat terrain. Nope. After walking a mile up a mountain, over steps, rocks, and tree roots, traveling through forest complete with banana trees, under a zip line, and over a few creeks, we finally made it to the other half of Grutas Tolantongo. It was worth the effort but thankfully we were able to take the shuttle back to our campsite. Oh yeah, they had a shuttle the whole time. At least we exercised for the week and saw some of the most beautiful mountain scenery in Hidalgo, Mexico. What life lessons did you learn this past week? Please share it with us below. We want to hear your thoughts from around the world! 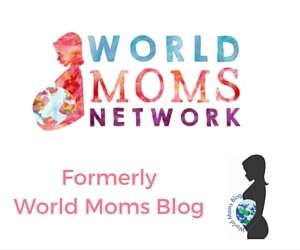 This is an original post to World Moms Blog by Tina Marie Ernspiker. Tina can be found blogging over at Los Gringos Locos. She is also on Facebook and Twitter. 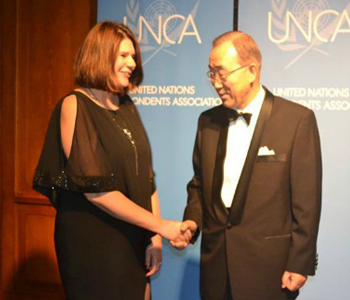 Tina lives abroad in Mexico with her husband and four children. She is active with homeschool, travel, and her Bible ministry. Tina loves photography and writing thus she blogs. Come join her adventures! Screaming for two hours… not so much fun! How did you hike with the stroller? That is tough!! I am totally picturing you all on the path going over tree roots! World Mom, Tara B. in Washington state in the USA has hiking down to a science with kids, I feel. You guys must compare notes!! Tina, the picture is gorgeous. What a fantastic place to share with your family! And, thank you for sharing your lessons with us! !